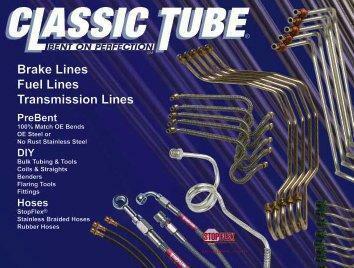 Classic Tube is a manufacturer of pre-bent replacement tubing for automotive restoration and aftermarket. 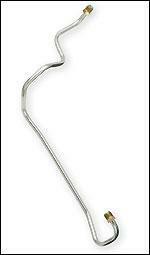 They have a large inventory of original replacement steel, aluminum, and stainless steel tubes for classic cars. Stainless and OE pre-bent tubing, stainless braided hoses, exhaust tube parts, intake/cooling tube parts, and disc brake conversion kits. We are both a dealer and installer for Classic Tube.